On this Monday’s premiere episode all 13 all-star couples will hit the stage performing either the Cha Cha or the Foxtrot to impress the judges and viewers at home, hoping they’re not the first couple sent home. Some of the competitors have already sounded out about why they decided to come back to take another run for the Mirror Ball Trophy and you can see the videos HERE. What do you think of the dances the All-Stars will be dancing Monday night? Do you think either group has an advantage? On Tuesday September 25th, 2012 the first two hour results show will kick off with live interviews with host Tom Bergeron and the cast. The interviews will offer an in-depth look at why each celeb has decided to return for another chance at winning the coveted mirror ball trophy. Justin Bieber and Pitbull will hit the stage musical performances. Justin will performing his second single, “As Long as You Love Me,” from his latest album, “Believe.” Pitbull will also perform on the results show with the primetime television debut of his new single, “Don’t Stop the Party,” from his upcoming album, “Global Warming,” out November 19th. Before night’s end, the season’s first couple will be eliminated from the show. This season, immediately after each show there will be an original web series called “After Party: Dancing With The Stars” on ABC.COM. The show will be co-hosted by Supermodel and DWTS Season 9 Semi-Finalist Joanna Krupa. Recording artist and Season 11 Runner-up Kyle Massey will Contribute Special Insider Segments. The premiere episode gets the party started with expert panelists Elena Grinenko, ballroom champion and previous “Dancing with the Stars” pro-dancer; Jessica Radloff from Glamour.com; and Annie Barrett from Entertainment Weekly, as well as a special acoustic performance by professional dancer and former “DWTS” contestant Lacey Schwimmer, featuring the It Boys. Dancing With the Stars Season 15: All-Stars will premiere on Monday, September 24 at 8 p.m. ET/PT on ABC. Our Dancing With The Stars All-Stars Wish List HERE! 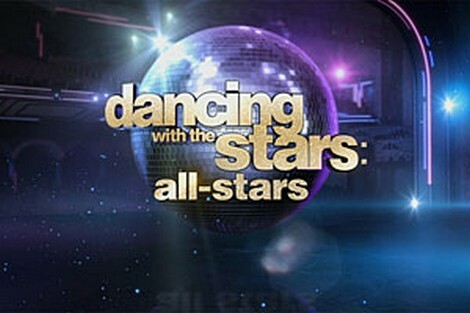 Dancing With the Stars Season 15 All-Stars Official Cast List HERE! Keeping Up With The Kardashians Season 7 Finale Spoilers!